Based in 1971 in Barcelona as Jose Manuel de Vargas’s individual cabinet, the office expanded by partnering with Joseph Maria Mir in 1983 and afterward with Jesus Lazuen, by enlarging outstandingly areas of activity. 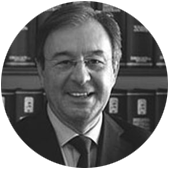 The cabinet “De Vargas Mir et Lazuen” has a long story for a multidisciplinary office and this experience allows us to approach of a modern and effective form the cases which we are in charge of. We are a cabinet of medium-sized by vocation and by choice. We take care of various concrete domains of the right in which we are specialized. We pay attention on the interests of our customers and give a very personalized treatment in the cases which they confide us. Our philosophy is both based on a meticulous work and a personal relationship with the customer that allows us to know better its problems, the way it behaves in front of these last ones, as well as his antecedents and his environment in order to succeed to a more specialized and effective service. The profile of our customer is highly varied, from the private individual to the multinational company. The office has a vocation oriented towards the international and it permits us to offer a service to customers in more than 18 countries. For example, in France or Belgium and in other more distant countries such as Mexico, Brazil or China. Since its creation, “De Vargas Mir & Lazuen” defended with effectiveness and professionalism the interests of a lot of customers and supported companies in the development of their national or international projects. Since then, we have obtained trust and faithfulness of our customers, the respect of our colleagues, our adversaries, as well as a national and international notorious prestige. Master’s degree in Law from the Central University of Barcelona (1971). Graduate of Higher Studies of Comparative Law from the International Faculty of Comparative Law of the University of Strasbourg (France). Master’s degree in Economy from the Center of International Studies of the Chamber of Commerce of Barcelona. Graduate in Financial Management from the School of the Senior Management and Business Administration of Barcelona (EADA). Studies of the third cycle in Universities of France and Italy. Full professor of Constitutional Law of The Central University of Barcelona. Languages: Castilian, Catalan, French, English and Italian. Master’s degree in Law from the Central University of Barcelona (1982). Real state Law and Construction Law. Family Law, Divorce and Separation. Commerce Law, Claims of Consumers Law. Master’s degree in Law from the University of Granada (1976). Professor of Tax Law of the master’s degree in Law from the Higher Institute of Law and Economics (ISDE) (1998-1999). 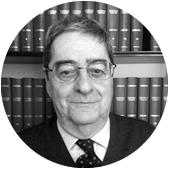 Associate professor to the chair of Financial and Tax Law at the Autonomous University of Barcelona (1989-1993). Specialized in Tax and Company Law. Languages: Castilian, Catalan, French, English. Master’s degree in Law from the University of Deusto (Bilbao). Studies specialized in General Economics and Business Administration. Specialized in Commercial and Tax Law, financial and accounting analysis. 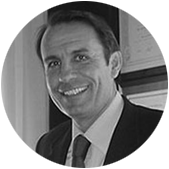 Our experience allows us to approach of a modern and effective way the cases which we are in charge of. Community of Property and Civil Societies. Contractual and extra-contractual Civil liability. Rights to Dignity and to the Own Image. Mediation and consulting in a matrimonial breakdown situation. Study of personal and patrimonial of spouse’s situations, determination and assessment of obligations which deriving from it in separation and divorce. Judicial request of separation or divorce. Legal defense from the Courts in the contentious procedure. Elaboration of the regulatory agreement of the effects of the separation concerning Pacs. Implementation of the measures comprising to the regime of visits, maintenance payments/alimony/allowances and liquidation of the matrimonial property. Demand and change of the provisional measures or definitive of separation or divorce. Approach of procedures of inability, guardianship and the judicial authorization of sale of goods to the minors and people deemed partly or totally unable. Drafting of wills and last wishes. Study of the optimization of the fiscal cost. Manifestation, acceptance and inheritance evolution. Inheritance distribution. Declaration of legal heirs in the successions ab intestate. «Interpelation in jure» in cases of refusal to inherit or the abandon of right of inheritance. Complaint of the reserved portion, judicial or extra judicial. Complaint of hereditary rights and sharing hereditary contentious. Complaint of hereditary communities of properties. Retraction/withdrawal of coheirs. Contracts of Lease of hotel management and industry. Economic ruin of the rented property and its incident the Leases. Judicial termination of the leases by negligence to the contract. Eviction due to the lack of payment of the rent or expiration of the deadline. Elaboration of the constituent title of the ownership of horizontal property and condominiums, new works, segregation, regulation of internal regime. Legal procedures arising from agreements of the co-ownership or from the Law of Horizontal Property. Legal consulting to the co-ownership and directors of property. Legal claims by responsibilities arising from constructive pathologies appeared in community elements. 10-year liability. Contract of purchase and sales of buildings, properties companies and constitution of guarantees. Exchange or contract of purchase and sales in the state of future construction. Deposit, option to purchase and promise of purchase / sale of real property. Writing and negotiation of every types of contracts in real estate. Legal structure for the property development. Contracts of execution of work and construction. Contracts of professionals and of subcontractors. Management and profitability of buildings. Complaints from occult defects in real property. Responsibilities of the agents involved in the process of the construction, arising from defects of construction. Breaches of contracts. Constitution of companies and reforms of statuses. Legal corporation form of companies’ projects. Restructurings and reorganizations corporations: transformations, mergers, splits and the other structural modifications. Negotiation of agreements for the resolution of situations of shareholder blocking. Joint-ventures, UTEs, alliances, extra-statutory pacts, family protocols. Contesting and acknowledgement of the debt. Defense of the rights of creditors. Resolution of situation of insolvency and bankruptcy, and legal redress. Commercial contracts, of agency, distribution and franchise. Permission and contracts of outsourcing. Contracts of work and industry. General Conditions of the contracts of hiring. Individual companies and societies. Direct taxation. Corporate taxation on profits. Optimization of tax costs: Planning of taxation of inheritance and their modifications. Financial and Accounting analysis. Due diligence. Execution of formal obligations. Income tax return. Consulting in the check of administrative office. Consulting and representation before inspection bodies. Expert’s help in the legal proceedings for Tax offence. Economic-administrative voice before Regional and central Courts. Taxation on profits and its repatriation. Transfer and modification of heritages. In all our fields of intervention: legal defense of the customers’ interests before the Courts. Negotiation and mediation in extrajudicial conflicts to avoid contentious procedures. Intervention before the Spanish Court of Arbitration and other regional and Spanish arbitral institutions, and in private arbitrations. 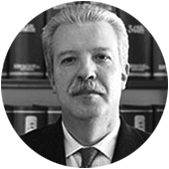 Consulting and defense in judicial procedures in accordance to arbitration: arbitrators’ appointment, help to the constitution of proofs, conservation measures, action of cancellation of the arbitration. International procedures of international arbitration. Extrajudicial claims face to various Administrations. Forces land acquisition/ forced expropriation. Contentious remedies – administrative in any fields. Constitution of private sport entities and reform of statutes. Sport discipline: Approaches of disciplinary procedures and objection of disciplinary resolutions before Disciplinary Committees of Sport, Sporting Arbitral Courts (T.A.E. and T.A.S. ), and ordinary Jurisdiction. Legal Consulting of clubs, sports federations and other private sport entities, public Institutions with skill in sport and regular professional leagues. Private foundations related to sports associations. Complete personal consulting to the sportsmen. Analysis and management of the optimal heritage structure for sportsmen and sports entities. Contracts of cession, transfer, sponsoring and image. Consulting in concessions for the management of sports equipment. Consulting specialized in hunting, hunter societies, private areas of hunting, license to carry firearms, administrative sanctions, to organizations and sector entities. Recognition and Enforcement of Foreign awards. Recognition and Enforcement of Spanish awards abroad. Consulting in foreign investment projects in Spain. Consulting in Spanish investment projects abroad. Constitution of establishment, subsidiaries and delegation of foreign societies in Spain. Consulting in Spanish Law to the foreign societies. Consulting to Spanish societies abroad. Consulting in research and localization of professionals and specialists in Law abroad. Consulting in international legal procedures. Offences against the person, intimacy and honor. Offences members: excessive agreements and infringement of the right to vote of the partners. Fraudulent administration and accounting frauds. Offences of insolvency liable to penalty: misuse of company property. Tax offences and Social Security. Offences relate to market and consumers. Penal extradition and consulting in procedures abroad: execution of sentences and international legal assistance. Professional services are provided upon acceptance by the customer of a budget agreement establishing the economic conditions of our intervention. Our office also invoices, when applicable, the cost of any advanced payments that it may undertake on behalf of its clients (bailiffs’ fees, registrars, hearing fees, etc…) in addition to the fixed fees. As far as these expenses (that are qualified as legal costs) are concerned, they are generally uncured to the party which loses the case in order that they can be invoiced to the adversary and not to the client. The customer can recover these expenses from the adversary or directly from the Court. In the event of appeal, the costs incurred by first instance proceedings are invoiced to the client who will recover them, in that event, from the adversary if they are incurred upon him by the Appeals’ Court. Fees are established by a lawful agreement between the Lawyer and the customer, in accordance with normal practice, depending on the complexity of the case, expenses incurred by the Lawyer, the significance of the matter and the working hours really dedicated to this case. The reputation, qualifications, experience, seniority, and the specialization of the lawyer. The lawyer is entitled to obtain the payment of complementary contingency fees according to results obtained or services rendered. The firm invoices its fees on the basis of time spent on a case which, if required, are adjusted upwards or downwards according to the rules indicated above in addition to an adjustment according to the results obtained, always in accordance with the previous agreement. The lawyers’ hourly fees are as follows: 220 € HT. All the time passed on a case is invoiced on this basis, this includes travel time and waiting time at audiences and time passed on the telephone. When the outcome of an intervention by a Lawyer leads to a quantifiable result, a contingency fee is invoiced in addition to fees for the time passed on a case. A fees agreement may be signed between the client and the Lawyer in which it is specified if a contingency fee has been agreed upon or not, along with the procedure defining the valuation of this complementary fee, if applicable. These are invoiced either according to the sums paid by the practice, or according to the legal tariff (tariff-based charges) and are normally represented by an Expenses Statement which is added to the invoice. A retainer against fees and expenses which corresponds to at least sixty per cent of the sum of the indicated budget agreement mentioned above. A retainer against other costs which corresponds to a sum equivalent to the likely outlays paid by the practice on behalf of their client (bailiffs’ fees for initiating proceedings, registrars fees, publication and translation costs, etc…). One or more complementary retainers may be demanded as a case advances according to fees, expenses and other costs engaged. At the end of a case, a final invoice is established to complete the dossier. This includes, if applicable, a contingency fee for results obtained and also takes into account the retainers already paid, which will be deducted and appear in this invoice. Once a dossier has been opened, or during the course of proceedings, a fee agreement may be determined which defines in advance the tariffs to be applied according to interventions carried out by the practice. For certain types of dossier, a fee agreement can be determined (especially in the case of regular advisory meetings) which can be assimilated to a form of subscription.